Situated within an anglers paradise, *Kaimanawa Lodge* is a small boutique resort located within easy walking distance of the famous Tongariro River. The excellent restaurant and lounge bar (with roaring fire in the winter) at Kaimanawa Lodge provides an ideal venue to meet other guests and share the day's fishing tales, or the experiences of a myriad of other outdoor activities and attractions that the area has to offer. Complimenting the restaurant and bar, Kaimanawa Lodge has a swimming pool (not heated), spa pools, recreation lounge with pool table and table-tennis, volleyball, and children's outdoor play equipment. Guests are able to use the resort bikes to explore along the riverbank and in the forest. 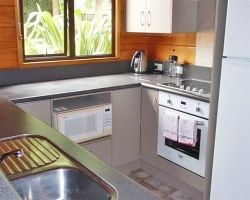 The stylish Lockwood designed units at Kaimanawa Lodge blend with the trees and surrounding landscape. 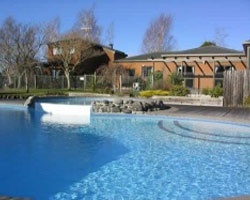 They are well appointed, tastefully decorated and provide a superb level of accommodation. Explore New Zealand each year! RTU in perpetuity! Buyer May Receive A Title Fee Credit, Inquire For Details! Annual floating week! Many sites and activities to enjoy within walking distance! Buyer May Receive A Title Fee Credit, Inquire For Details! 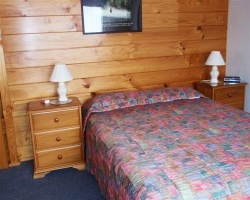 Charming resort close to the famous Tongariro River! Yearly in November week 44! Buyer may receive a title fee credit; inquire for details! Great year round resort with activities available no matter what the weather is! Buyer May Receive A Title Fee Credit, Inquire For Details! Beautiful resort with many onsite activities for all ages! Annual floating week! Buyer may receive a title fee credit, inquire for details! 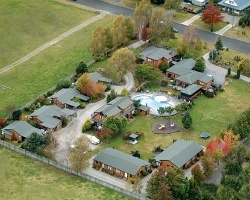 Beautiful New Zealand resort with many amenities for all ages! Floating week! Inquire for details!